King’s X is not just a band. Hell, it’s a cult. While each member emotes it’s own personality, it is the band’s six-foot-tall vocalist/bassist Doug Pinnick that always seems to be the immediate focal point. With a career that spans some 20 years, Pinnick continues to be as prolific as ever putting his contemporaries to shame. “I write so much music that King’s X can’t do it all”, says Doug. 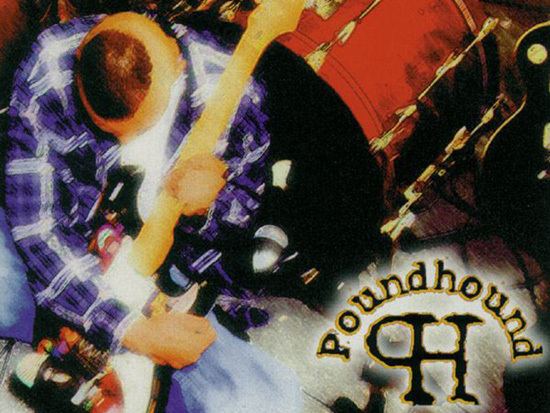 This additional outlet he created to follow his muse took shape in POUNDHOUND, a gracious display of human struggle and triumph and his genuine nature to tell things as he sees it. 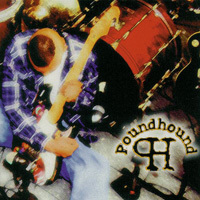 POUNDHOUND’s sophomore release is “Pineappleskunk”, a sixteen track groove machine in which Doug handles all vocals, performs all guitar and bass along side King’s X drummer Jerry Gaskill, not unlike the 1998 debut “Massive Grooves From the Electric Church of Psychofunkadelic Grungelism Rock Music”. Doug, took a longer route this time as recording actually began just before the “Please Come Home Mr. Bulbous” tour, when Doug spent months writing, developing and fine-tuning songs in his home studio. As with everything he does, he laid it all out on the line, “It’s a reflection of my life over the past year. It’s a letter to my friends. If anyone wants to know how I feel, I put it all in my record”. 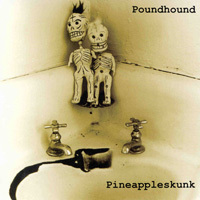 For the upcoming “Pineappleskunk” tour, Doug has recruited Houston area bassist Len Sonnier, who as Doug puts it, “is the only guy who can emulate my style”, guitarist Christian Nesmith, son of former Monkee Michael Nesmith and drummer Erick Tatuaca, who has played with such notables as Chris Duarte’ and fellow Texans Galactic Cowboys.